Olive Leaf Tea may be the solution for you, if you are seeking an alternative to green tea without the caffeine and with the increased health benefits. Green tea already has a reduced amount of caffeine when compared to coffee or black tea. However, if you want a zero caffeine solution then the option is a herbal olive leaf infusion. 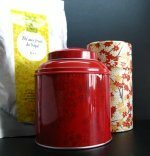 Welcome this wonderful tea and lead a healthier life! This tea is made from dried olive leaves and olive tree bark. 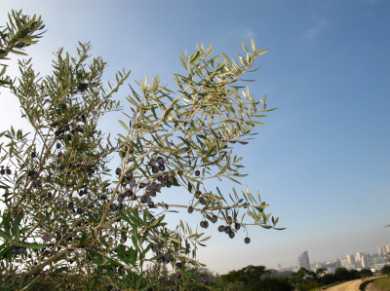 The olive tree (olea europea) is native to the Mediterranean region, Asia and Africa. It is a small evergreen tree with 4 to 10 cm long green silvery leaves and small white flowers. Tea made with olive leaves has been in use for medicinal purposes since the Ancient Egyptians and olive oil was considered to be sacred in Ancient Greece, being used to light the lamps of temples and to fuel the flame of the ancient Olympic Games. The olive branch, a symbol of peace since biblical times, contains the secrets to so many health benefits that it certainly deserves its place in our history. 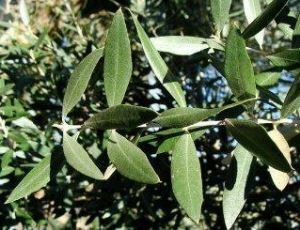 The unprocessed olive leaf contains oleuropein, an antioxidant responsible for most of its health benefits, as well as several other polyphenols and flavonoids. Today the olive is ever present in Mediterranean cuisine and olive oil holds the reputation of being one of the healthiest cooking oils. Let’s then look at some of the best known health benefits this smooth golden tea has to offer. Infusion made with olive leaves and olive tree bark can bring down fevers and fight germs. Many studies indicate that olive leaf herbal tea produces anti-viral action in the body, as it stops viral replication in cells. This herb may be taken in the form of olive leaf capsules that are sometimes taken as a natural health supplement; olive leaf extract, which in turn is used in the world of cosmetics, particularly in skin care products. 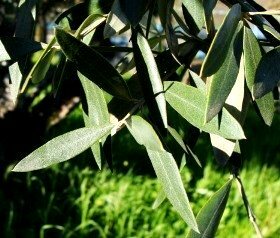 Extract from olive leaf oil may be used in treatment of diabetes for non-insulin dependents or Type II diabetes. Olive leaf extract is used to reduce aging effects and it stimulates the immune system and acts as and antibiotic. Externally, juice made from olive leaves can be used to help scaring in case of wounds and bruises. And chewing on green olive leaves in the morning, before eating can help you cure gingivitis and general mouth inflammations. Cataplasms made from warm olive leaf herbal tea, mixed with honey can help with skin outbreak in general. Care for an Olive Leaf infusion? Because of its amazing power to reduce your blood pressure, olive leaf tea should not be taken without some precaution. As it lowers blood pressure and glucose levels in the blood, this tea become quite a threat to those who have low blood pressure and glucose levels. Please be aware that interaction with medication to reduce blood pressure and glucose levels may be dangerous. Dizziness caused by quick drops in blood pressure can be fatal if it should happen while you are driving. So be careful and consult your doctor, monitor your blood pressure and always pick the right tea that suits your particular constitution. 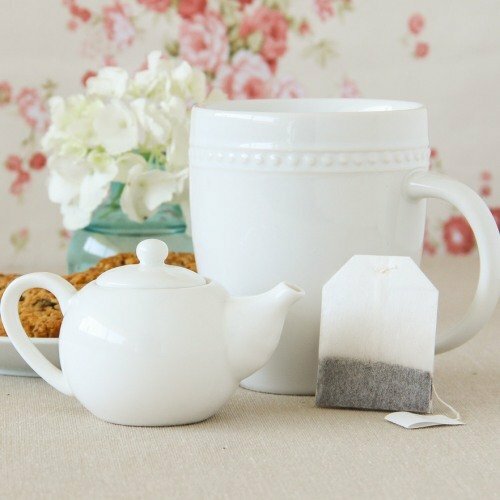 If you have diabetes, make sure your doctor approves of this herbal tea with your daily diet. Olive leaf tea has a pleasant taste, like a weak green tea, slightly less bitter and certainly sweeter. It is an amber or golden infusion. Here we leave you with one of suggestions on how to make olive leaf tea: put 30 grams of dried olive leaf per liter of water. Boil until the water reduces to half the amount. Then take two cups per day, once in the morning and once in the evening. It takes longer to steep than a regular tea and it can be drunk hot or iced. Here’s a tip: This tea is sold as loose leaf and tea bag. So, if you have the choice available to you, go for loose olive leaf tea, you can alter the quantity to your liking and also blend with other herbs, coming up with new and interesting flavors. Buy Your Olive Leaf Tea Today! 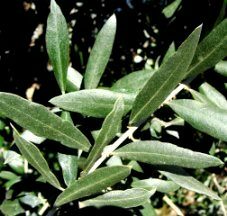 Click on the image or on the links below to purchase from Starwest Botanicals your Olive Leaves. 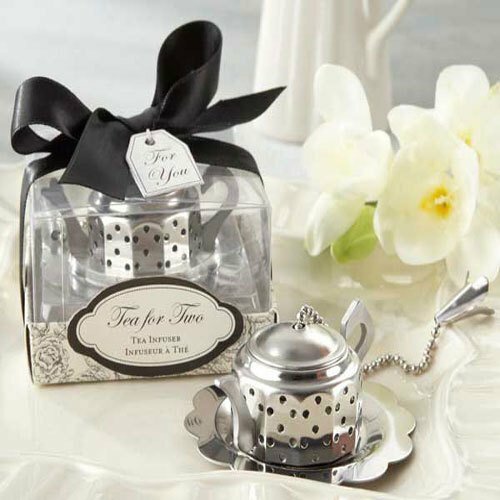 The perfect way to make your tea is from wonderfully cut or powdered organic olive leaf. 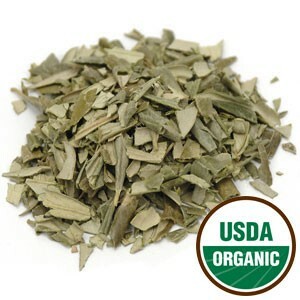 Try Olive Leaf Tea today!